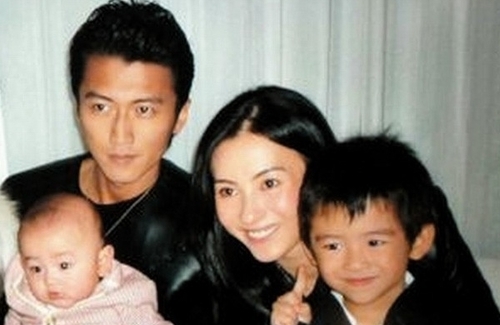 Since 38-year-old Cecilia Cheung (張栢芝) gave birth to her third baby last November, her two sons, conceived with ex-husband Nicholas Tse (謝霆锋), Lucas and Quintus have both been promoted on the family tree. As the oldest sibling, the 11-year-old Lucas is beginning to show his independence and maturity, even attracting the attention of his fellow female schoolmates. A few days ago, Lucas and 8-year-old Quintus were seen getting off school around 3 p.m. at an international institution in Hong Kong. 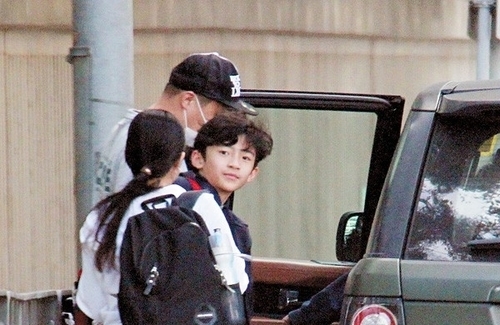 The media acknowledged Lucas carried his father’s handsome features, a chok demeanor, and the charms inherited from his grandpa, Patrick Tse (謝賢). 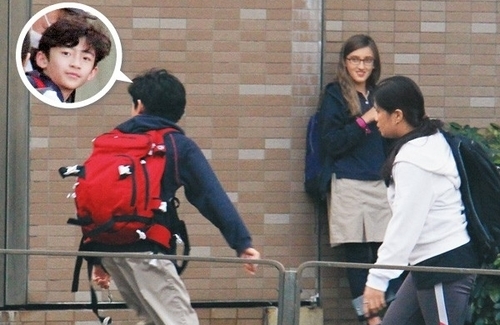 To no surprise, he caught the eye of a foreign student, who smiled at him as he passed by. Although Cecilia was not present, as she was most likely busy taking care of her newborn, the family’s foreign domestic helper took on the duty of picking up the boys. She arrived in a green-colored four-wheel drive, which was under the name of Cecilia’s manager, valued at 1.2 million. She helped the younger Tse carry his book bag while the male driver draped his arms over Quintus’ shoulder as he personally guided him across the street to get into the car. On the other hand, Lucas was more independent and definitely used his actions to reflect his older brother status. Not only did he carry his own heavy red book bag, but he also refused to hold hands with the helper or allow her to put her arms over his shoulders. It seems that he has entered the rebellious period of the youth, and does not want others to treat him like a child. In the blink of an eye, his parents have been divorced for seven years, separating when he was roughly 4-years-old. As a child, he not only saw his family fall apart but also his family’s personal affairs magnified by the media. The most recent example was the birth of his newest family member. Since Cecilia did not reveal the baby’s father, countless speculations on who the father is led to the paparazzi revealing the baby’s birth certificate. The father’s name was left empty, but it is reported the father could be 65-year-old Singapore wealthy businessman, 50-year-old Mainland businessman Sun DongHai (孫東海), Taiwanese star He Menghua (何孟懷), Stephen Chow (周星驰), or even ex husband Nicholas, who already denied the claims. Cecilia also personally dispelled the rumors via social media.